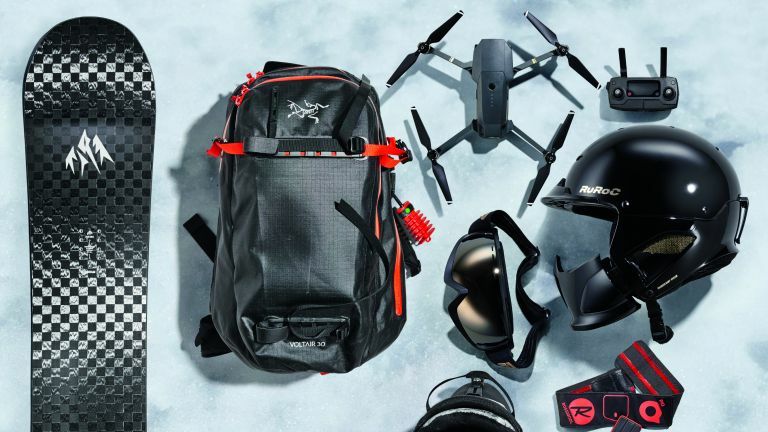 Chris Haslam - Tech expert and snowboarding veteran of 25 years – he remembers when the mono-ski was cool – Chris often risks life and limb in the pursuit of the perfect winter sport set-up. The 2017-18 ski season is upon us and, naturally, T3 is already dreaming of powder-filled valleys, beautiful alpine slopes, and 7-year-old locals out-skiing us quite comfortably. As such, we are always looking for an edge each season to help us spend more time flying from edge to edge and less time flying off a steep edge! And, handily, that is something that tech can help us achieve. At 2.45kg for the 158cm version the Project X is the lightest snowboard available, thanks to the carbon fi bre top sheet that replaces the traditional fibreglass. It’s a fun all-mountain ride; think luxury sports car rather than dune buggy, so expect serious power, speed and supremely accurate handling. Spend more time riding and less time faffing with your bindings getting a cold bum. Clip-in strap-free binding isn’t a new concept, but Burton’s brilliant system takes seconds to master – you click your heel in faster than a skier – while still providing a responsive feel between boot and board with zero heel lift. You’ll need the matching Burton Ruler boot with its multi-point Boa wire lacing system that tightens without creating pressure points. Go one better than a GoPro and take epic video clips whether your skills are more dad than rad. This backpack-friendly 743g personal quadcopter has image-stabilised 4K video, Full HD slow motion, iPhone-mounted remote control with OcuSync transmission and a professional-quality follow mode that tracks your (or whoever you decide to track) every move from behind, in front or alongside. Powered by a 22.2V Lithium polymer rechargeable battery instead of the usual one-shot compressed air canister this 20-litre backpack conceals a 150-litre airbag that can be deployed as many times as you like – great for avalanche emergency training and pub japes – making it a potentially lifesaving piece of kit if you love back-country riding. Full-face helmets might look a bit badass for the beginner slopes, but this exceptional 700g all-in-one helmet system with integrated goggles and detachable face mask completely cuts out the wind and snow while helping to prevent unwelcome attention from rocks. The face guard can be easily removed for sunny days and the silver nano-coated liner helps prevent bacteria build-up. If you want to show people who the mountain maestro really is, PIQ has recently developed the Robot, a performance-tracking nano-computer that straps onto your boots. The waterproof sensor can deliver every conceivable carving stat imaginable, including edge-to-edge speed and carving angle, and you can view all the data in real time on your Android or iOS phone, which should make long chair lifts more interesting.